Jae Ford said he knows people who've died waiting outside a hospital emergency room. They weren't patients with broken bones or stab wounds. They didn't bleed to death or have fatal heart attacks. They were mental health patients in crisis. "They were either brought in and turned away or they just couldn't make it through the door … knowing what was inside," Ford said. "It's terrifying to be in there." Ford, who has been diagnosed with bipolar disorder, has himself been in the emergency room suffering. That's why he describes a plan in the works to change of all this as a "game changer" — a plan for a new dedicated mental health wing at Saskatoon's Royal University Hospital's emergency room that Ford says was "going to save lives guaranteed." It was scheduled to open this fall. But despite a million-dollar donation and fundraising, the new mental health assessment and short stay unit at RUH is still in limbo and there is no guarantee it will ever open at all. While the money is there to build the facility and get the beds, there is no cash to actually staff the unit. In a written statement, the Ministry of Health said while the donations will cover the costs of the facility and physical space, "annual operating costs will need to be part of the regular provincial budget process." It won't open this fall and the government would not commit to opening it any time soon. "We talk about emergencies in the emergency room as people with heart attacks or who are bleeding to death," Ford said. "But there are mental health emergencies. There are people who are coming into the ER who are having emergency situations. They are going to die and they are asked to sit in chairs because they are not going to bleed to death." 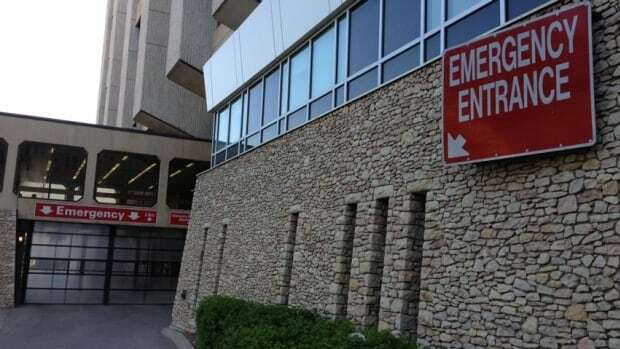 According to numbers released by the Royal University Hospital Foundation in a fundraising letter found on the foundation's web site, last year there were 9,000 people who came to Royal University emergency room alone because of mental health and addictions. Those numbers contribute to the nearly 60,000 patients seen in RUH emergency annually. The foundation says 10 per cent, or 900 patients in total, left without receiving care or without the consent of a doctor. That number, according to the foundation, is the highest in Canada. Philanthropists Leslie and Irene Dube already donated $1 million to the new unit. It would be a seven-bed facility with dedicated staff who would specialize in mental health and addictions care. In an interview, Leslie Dube said he has given the money but is still waiting on word on when, or if, the facility will actually open. While he acknowledged he does not know where the process is at, he said it sometimes can take time for a donation to be accepted and the a facility to actually open. "They have to prepare everything and submit to the government to get approval for the funding and sometimes it does get held up for a while," he said. The government said there are "additional considerations," including the fact the a brand-new emergency department is scheduled to open in at the new Jim Pattison Children's Hospital in 2019. "The Ministry of Health will assess this request along with other mental health and addictions priorities to ensure sustainable funding is available," the statement said. In the meantime, however, Jae Ford says people suffering from acute mental health problems like serious depression and anxiety will be left in limbo. "It's hugely stigmatizing to go the ER. If there was a separate door and a separate facility it would be a wonderful place to treat in-patients going into [the Irene and Leslie Dube Centre for Mental Health] and also as a dry-out location for addicts," he said. According to the Royal University Hospital Foundation's fundraising letter, the new space will "combine warm colour tones and lighting" and will "promote a sense of peace and calmness for the patients and their families during what can be a very stressful time." "I mean, this is a huge game changer for everyone. This new unit they are putting together is going to save lives guaranteed. Because it eliminates that barrier of the ER and gets you straight from the street into care," Ford said. Now Ford and others will have to wait and see whether the government changes its mind.